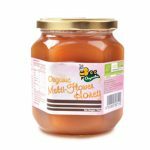 Bee Organik’s Multiflora Honey is made with the help of wild flowers (Multiflora) to produce a rich natural taste that is all its own. 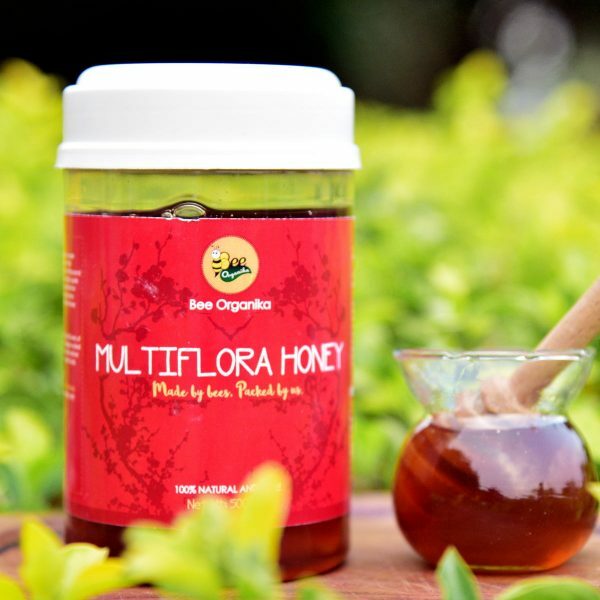 Multi Flora Honey nature’s delicious and nutritious gift to mankind. 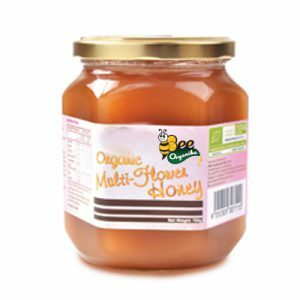 Multiflora Honey is honey at its very best – raw (cool treated), nutrient-rich and full-flavoured. 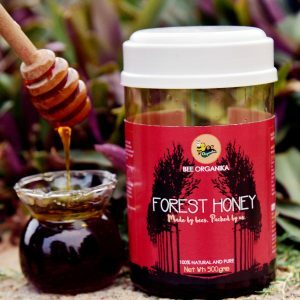 Honey gathered from unique Indian flora. The Bees traveled 75,000 miles (three times around the world) and visit over 367 million flowers to make just 500g of honey for you. 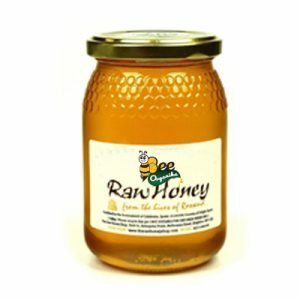 Honey contains not only life supporting vitamins and minerals, but naturally occurring enzymes. These aid functions such as digestion, cell regeneration, tissue repair, bone maintenance, muscle activity and even thinking itself! Honey also contains valuable natural sugars in bio-available glucose and fructose form, which provide slow release, sustained energy lasting for hours. Usage: Honey can be had with warm water early in the morning, can be used while making desserts, can be used as topping for ice cream. Consume Within: 12 months from the date of manufacture. Storage and Handling Instructions: Honey need not be refrigerated after opening. 1) Honey contains an enzyme that makes hydrogen peroxide which makes it antibacterial and anti-fungal. 2) Honey is used to treat high blood pressure, diabetes, skin conditions, periodontal infections, throat infections and allergies. 3) Besides excellent nutritional value, it can also be also used as a calming and sedative agent. 4) Honey has the ability to inhibit ulcers and prevent cancer. 5) Honey improve metabolism, which keeps our body slim and fit. 6) It is a rich source of antioxidants and helps prevent premature aging, cardiovascular diseases and improve eyesight. 7) Honey has anti-inflammatory effects. It is used to relieve a cough, cold and sore throat pain. 8) The drying effect of the simple sugars and honey’s antibacterial nature helps soothe injuries and prevent infections.